Carex tribuloides (blunt-broom-sedge) plants. © Keto Gyekis kgNaturePhotography.com (Accessed 12/2017). Carex tribuloides is a perennial sedge, tufted, flowering stems stout, 50 cm to 1 m tall, angled, rough at top; basal leaves bladeless, sheaths with green veins. 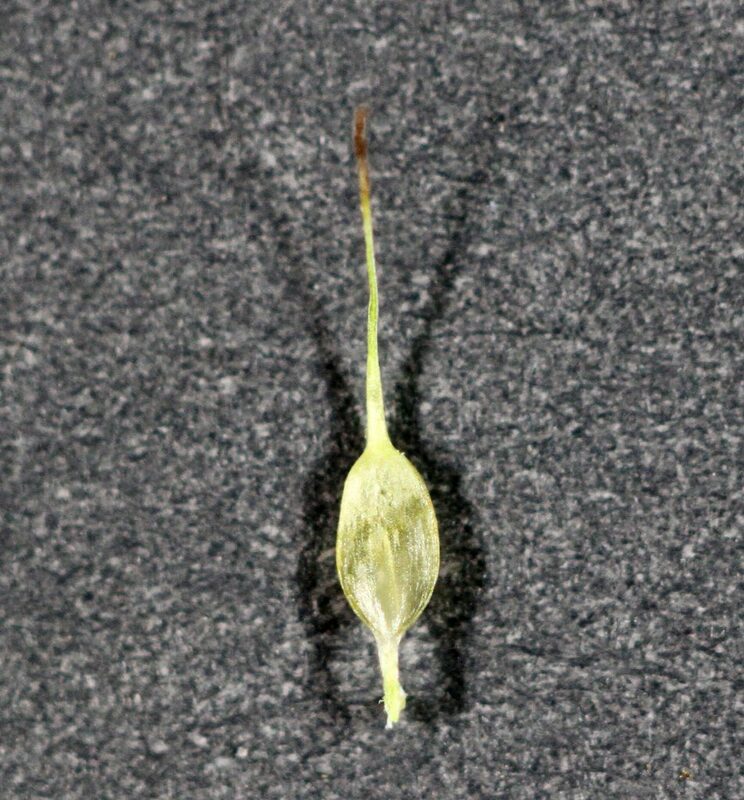 Leaves 0.3-0.7 cm wide, those on sterile stems in two ranks, shorter than flowering stems. 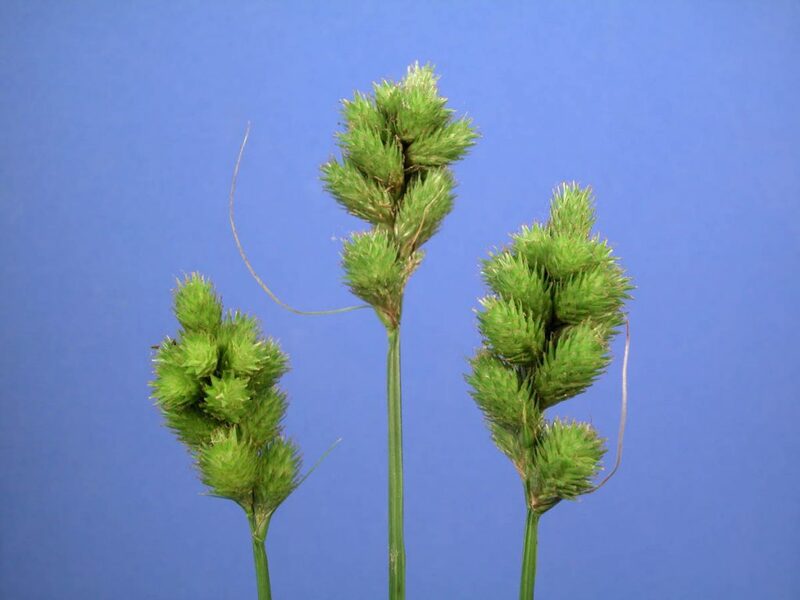 Carex tribuloides.Dan Nickrent.www.phytoimages.siu.edu (Accessed 12/2014). Flowers: male flowers at wedge-shaped base of spikes, perigynia (female flowers) densely packed, green becoming tan, 0.4-0.5 cm long, 0.1 cm wide, flat, margins winged above, beaked; spikes 5-15, in a dense cluster, 2-5 cm long at top of stem; stalkless, round to egg-shaped, 0.6-1.2 cm; blooms and fruits June-Sept.
Carex tribuloides perigynium. N. Kirchner NK10 MOR – The Morton Arboretum East Side DuPage Co. IL. 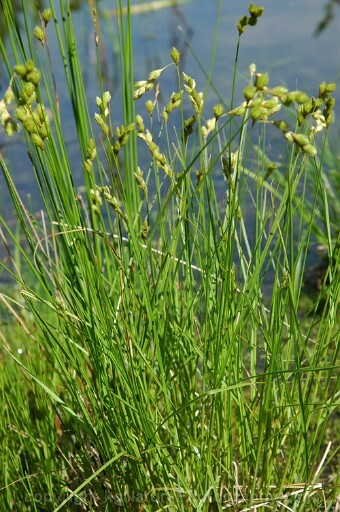 cyperaceae.e-monocot.org (accessed 12/2017). Habitat: Wet woods and open areas,, soil pH 4.8-7, tolerant of shade, fire and anaerobic soil, intolerant of drought and salt (USDA, NRCS 2010). Notes: Seeds eaten by numerous birds and small mammals, plants eaten by mammals (Martin et al 1951).